Benchmark Metals of Edmonton has the results of drilling at the Dukes Ridge zone at the Lawyers gold-silver project in the Golden Triangle. 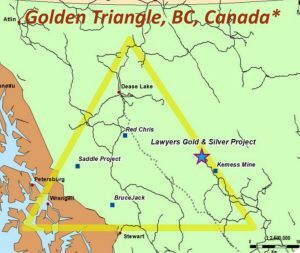 The holes intersected wide intervals of near 1 g/t gold equivalent and narrower intervals of high grade gold and silver mineralization. The post Benchmark drills 52 g/t Au and 846 g/t Ag over 3 metres appeared first on MINING.com.